You will not surely die [lie]. For God knows that when you eat of it your eyes will be opened, and you will be like God, knowing good from evil [truth] (v. 4-5). The serpent used recursive logic to make his premise, “You surely will not die”, appear to be as valuable as the truth—“For God knows that when you eat of it your eyes will be opened, and you will be like God, knowing good from evil”. Later in Genesis 3:22 God affirmed that man had indeed become “like one of us in knowing good from evil.” From the example it is obvious that error is often accepted by naïve people when presented side by side with the truth. John Piper’s teaching operates in a similar manner. 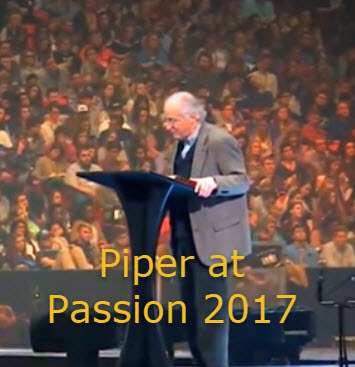 Piper links his philosophy to the truth so as to deceive his unsuspecting audience into accepting all his words as true. ‘The apostle Paul clinched my Christian Hedonism with his testimony in Philippians 1. Here is the clearest biblical statement that God is most glorified in us when we are most satisfied in Him’ (p24). 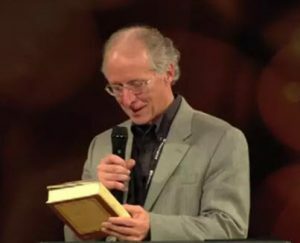 The Desiring God website has a segment entitled Look at the Book. In 2014 Piper again sees the need to lead viewers to his understanding of the Bible through the lens of his philosophical deception. Referring to Philippians 1.20-23, Piper says this passage has been one of the most pivotal for him and his ministry. He says these four verses hold profound and precious truths about life and about death, and claims that it shows why Christ is most magnified in us when we are most satisfied in him. If I experience dying as gain, then I show by my death that Christ is honored… the foundation [for how Christ is honored] is when he [Paul] dies he experiences death as gain (1). But Piper’s philosophy is simply not supported by the Philippian epistle. He failed to follow Paul’s simple instructions to Timothy. Paul commanded Timothy to present himself approved by God through rightly handling the Word of Truth (2 Timothy 2:15). Piper’s faulty interpretation comes from his failure to correctly divide the Word of Truth. So where did Piper go wrong? Verses 20-23 in chapter one are an expanded explanation of what has previously been said to the Philippian church. Paul begins his letter with the usual greetings to the church in verses 1 and 2. In verses 3-5 Paul expresses his deep gratitude for the church’s partnership in ministry with him. The Philippian church maintained a continuous support for Paul’s ministry from its inception during Paul’s second missionary trip (Acts 16:9-15). Verses 6-11 builds up the saints by emphasizing Christ’s faithfulness to ensure they stand firm in the midst of a perverse world until He returns. Then Paul undergirds the ministry of the church in Philippi with his own ministry as they are partakers of the same grace. Furthermore, the Philippian church was tied directly to the work of expanding Paul’s ministry while he was in prison. By the gracious support of the Philippians, Paul was strengthened to give a defense and confirmation of the gospel. Now let us stop here for a moment and identify a major component to the grammatical / syntactical functions of the chapter. It is right for me to feel this way about you all, because I hold you in my heart, for you a are all partakers with me of grace, both in my imprisonment and in the defense and confirmation of the gospel. The controlling idea in verse 7 is simple—the phrase “I hold you in my heart” means Paul’s affections for the Philippian church ran so deep in his heart that he is willing to lay aside his own desires for the benefit of the church. The remaining verses in chapter one demonstrates Paul’s love for the church. Naturally, Paul wrote to encourage the Philippians regarding his imprisonment so that they would not loose heart. The word for in verse 8, 19, 21 link each verse to the controlling idea found in verse 7. In other words, the word ‘for’ works to further explain epistle. Each ‘for’ serves as a division in the chapter, grouping portions of the text together as a unit of thought and relates that thought to the controlling idea in verse 7. The first division (for) begins with verse 8 and ends with verse 18. Paul first explained his heart to the church. The first ‘for’ explains why it is right for Paul to have such strong affections for the Philippian church and how he will encourage them to continue in participating with him in the advancement of the gospel through his imprisonment. For God is my witness, how I yearn for you all with the affection of Christ Jesus. And it is my prayer that your love may abound more and more, with knowledge and all discernment, so that you may approve what is excellent, and so be pure and blameless for the day of Christ, filled with the fruit of righteousness that comes through Jesus Christ, to the glory and praise of God (vv. 8-11). In Verse 8 God bears witness to the highest motive of Paul’s heart, namely, his Christ-centered longing to be with the Philippian saints. Take note of Paul’s use of ‘God as his witness’ regarding his longing for the saints. Piper’s Error: Piper explained in Look at the Book treatment on verse 20-23 that Paul earnestly desired more to die than live because of his gain. But verse 8 already points to the fact that Piper’s explanation is false because Paul is not in any way thinking about himself as demonstrated in verse 8. Verse 9 further expands Paul’s selfless love for the Philippian church as he expresses his prayer to Christ on behalf of the church. Summary of verses 8-11: Paul wants his readers to know how he longs to be with them and earnestly desires them to grow in knowledge and discernment producing fruits of righteousness in their lives for the glory and praise of God. Since growth in knowledge and discernment is what Paul is praying for, it naturally stands that Paul will be delivered for the edification of the church because the knowledge he possesses is what the Philippian church needs according to Paul’s prayer. Paul wants the Philippian church to know the truth about his imprisonment so that they may be encouraged in the advancement of the gospel (v. 12). Since Paul is encouraging the saints, he is also writing to keep them from wallowing in sorrow over his imprisonment. Rather than allowing ignorance to bring about unnecessary suffering, Paul equips the saints with knowledge. Summary of verses 12-14: Paul gives firsthand information to his readers so that speculation and fear may be quelled through knowledge. The knowledge Paul imparts is the extent in which the gospel is penetrating the Roman culture at large through his imprisonment. In verses 15-18, Paul applies the knowledge he imparted by an exercise of discernment. Paul leads the Philippians to rightly appraise all things in the midst of his circumstances. Once again, all that has been written by Paul is for the purpose of further understanding the controlling idea in verse 7. Some indeed preach Christ from envy and rivalry, but others from good will. The latter do it out of love, knowing that I am put here for the defense of the gospel. The former proclaim Christ out of selfish ambition, not sincerely but thinking to afflict me in my imprisonment. What then? Only that in every way, whether in pretense or in truth, Christ is proclaimed, and in that I rejoice. Yes, and I will rejoice. Summary of verses 15-18: By maintaining his goal of encouraging the saints regarding his imprisonment, Paul leads the church of Philippi through an exercise of discernment between false and true teachers. Motive is essential in discerning the heart of any given teacher. Paul naturally reveals the motives of both men. False teachers may preach Christ, but they willfully choose to stay in their ignorance regarding the matter of Paul’s imprisonment because they are self-serving in their striving against Paul. True teachers preach Christ because they possess the love of Christ and thus grow in the knowledge of His will which is the advancement of the gospel through Paul’s imprisonment. Nothing in verses 8-18 make Paul out to be more concerned about himself over that of the needs of others. Paul has written to the Philippian church to let them know that much ministry has still yet to be done. Naturally, Paul turns to explain that his imprisonment will result in his release. That is why Paul wrote the letter to the Philippians. 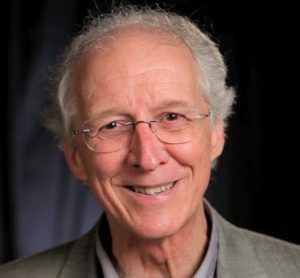 John Piper would have his readers think otherwise. 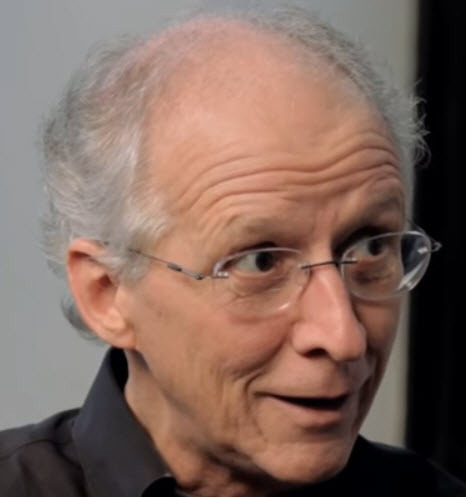 Piper’s Error: John Piper ignorantly elevates Paul’s personal desires over the needs of others. Piper says that Paul is seeking after gain through death since it means he will be with Christ. But nothing in chapter one up to this point supports Piper’s interpretation of Philippians 1:20-23. Paul’s letter to the Philippian church was written during his first imprisonment. Church history affirms the acquittal and release of Paul from that first imprisonment. If Paul was really focused on his death, he would have dispatched the men who were with him to the churches he had planted so that they may continue on the work of ministry as his life and ministry came to a close. Furthermore, Paul would have called to himself those who he would desire to see before he departs. Paul’s second imprisonment and second letter to Timothy prove those points. The character of Paul was impeccable. Paul would have never given a false hope to the Philippian church of his release if he did not first know that he indeed would be released (Philippians 1:19-26). 2 Timothy 4:9-18 attest to that fact. Piper would have us think that Paul was all about “Gain! Gain!” (DG 281). Piper stated, “This is the goal of his life and suffering. Paul desired “to depart and be with Christ, for that is far better”” (DG 281). Is Piper right? Is that why Paul wrote those words? If Paul wanted to simply communicate of his desire to depart from this world to be with Christ, then that’s what Paul would have said. But that was not what Paul was saying to the Philippian church! An example of Paul saying his life was coming to an end found in 2 Timothy 4:6. In Paul’s second imprisonment, after he was acquitted from his first imprisonment, he wrote to Timothy that his life was coming to an end. Paul prepared himself for imminent death by setting the house of God in order so that the furtherance of ministry apart from his earthly presence would continue on successfully. So we must then ask if Piper is wrong, why then did Paul write the words found in Philippians 1:19-26? That question will be answered in the next article. Wallace, Daniel. Greek Grammar Beyond the Basics: An Exegetical Syntax of the New Testament (Grand Rapids, Zondervan, 1996), 657-58, 668.